Last year we openly mourned the lack of decent Christmas movies being made. It has been well over a decade since Elf, for Pete’s sake. 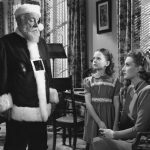 Hollywood has suffered a drought of original Christmas ideas and every season seems to bring yet another version of a twisted-family-Christmas (Love the Coopers). But if there is anything we loathe more than original Christmas movies coming out from Hollywood it is Christmas movies remade. So it is with great caution we share the news that Hollywood wants to seriously remake A Christmas Carol. Seven years ago, in 2009, Robert Zemekis, who brought the world Forrest Gump and Back to the Future, attempted to foist his version of A Christmas Carol on the world. It was an animated nightmare featuring Jim Carrey in multiple parts. Remember Jim Carrey? 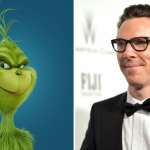 Yeah, the same guy that turned a perfectly sane villain of the Grinch into a babbling psycho in 2000’s awful, terrible, no good very bad remake of How the Grinch Stole Christmas. Christmas movies have a terrible track record in the remake department. And no Christmas story has been retold more times than A Christmas Carol. But there is hope. After all, A Christmas Carol has been successfully reinterpreted a couple of times, most notably with the made-for-TV version with George C. Scott in 1984, Albert Finney’s musical in 1970 and 1992’s Muppet Christmas Carol, which presented a lighter version. It can be done. Rumor has it this will be a traditional version of the Dicken’s classic. No roller coaster rides. No funny voices. Just authentic 19th century storytelling. Foxcatcher director Bennett Miller and the Oscar-winning screenwriter and playwright Tom Stoppard are to unite for the new version of A Christmas Carol, according to Hollywood Reporter. 1. Get the music right. This isn’t a project for Danny Elfman. If you want traditionalist celebration of the story give it the right feel. Stay away from John Williams and Alan Silvestri. Love their talents but they’ve been there and done that and we’ll never escape their previous themes. 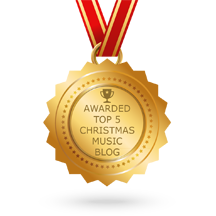 We’d love to hear what Thomas Newman has under his Christmas hat. 2. No comedians. These are serious roles and they demand serious skills. And while we love Sir Patrick Stewart — please, give us someone fresh. May we suggest John Rhys Davies? He’d be an authentic Scrooge. 3. Incorporate Dickens. 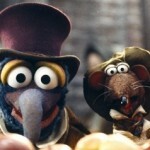 Take a lesson from the Muppets — have a storyteller. There was no greater storyteller of A Christmas Carol than the author of the tale, Charles Dickens. In fact, his path with Christmas mirrors somewhat the path of Scrooge. That presents some interesting possibilities with having Dickens as a narrator. Do you have the younger Dickens or the older Dickens tell the story? Why not both? 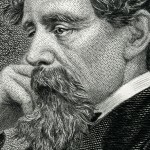 An older Dickens with a twinkle in his eye has to be the one who wraps up the story. Showing that parallel transformation between Scrooge and Dickens alike would give a new movie version some depth most don’t expect. 4. Go dark. This is, as Dickens deliciously liked to explain, a ghost story that explores dark themes. Most previous versions stay away from the dark parts of Ignorance and Want. They whitewash the terror of Marley and the hell of Scrooge’s possible future. We say “go there”. Make those parts frightening, desperate and aching. That is what makes Scrooge’s redemption so complete. Most previous versions don’t go there enough. 5. Make Jacob Marley a star. Alan Rickman is gone and that is a real loss, because he would have been a wonderful Jacob Marley. 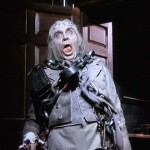 We think Sir Anthony Hopkins could give us a ground breaking new look at Jacob Marley. He can terrify with just a silent look. And he can pierce with a well written line. It wouldn’t hurt — if you have to stray from Dickens at all — to delve a little bit more into the living Marley. What was Jacob like in life? How heartless and cold was he when lived? 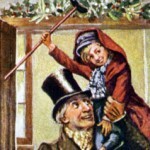 What kind of brutal tandem were Scrooge and Marley? We usually get lots of flashback sequences of Scrooge alone. 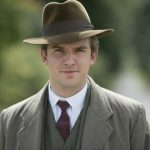 We think it would be fascinating to see Marley as more than a ghost. Being Christmas purists, we’re not going to lie. We’re hopeful for this movie. We’re going to be ones to see it right away. Some good thoughts. I wonder how Zachary Quinto would be as Scrooge? Quinto would be a poor scrooge, Alistair Sim should still be the benchmark for potraying Scrooge, what has been over looked in the many remakes since is that Scrooge is very gaunt looking, he would rather not eat and save his money, those that have read the book know that he eats gruel, which was food stuff for poor, a very weak Porridge (Oatmeal) with a water base rather than ilk, in Dickens times. In the remakes I have seen whilst the acting is good the look of Scrooge is not, and I understand that not many actors would be prepared to lose a lot of weight to potray the miserly old miser.